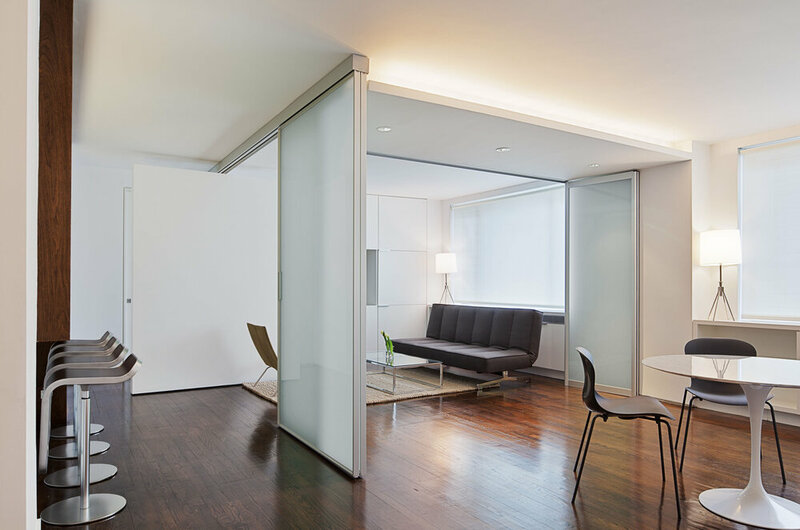 The design of this four bedroom Upper West Side apartment involved the complete renovation of one half of the unit and the remodeling of the other half. The main living space includes a foyer, lounge, library, kitchen and island. 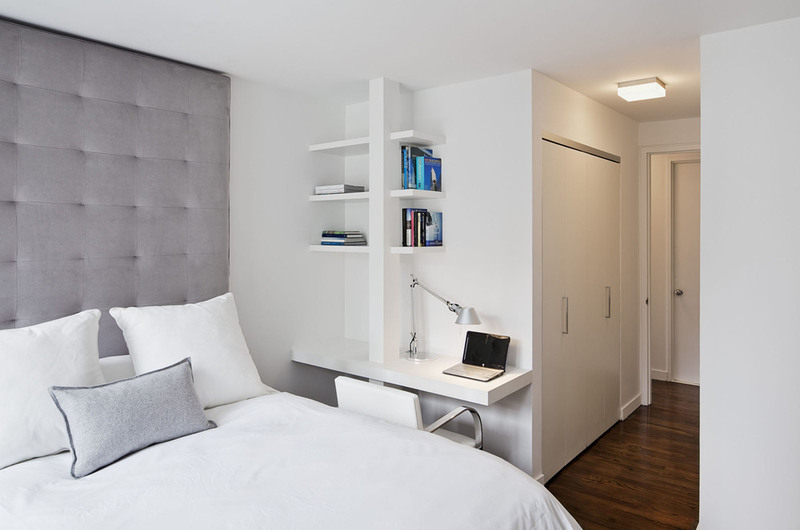 The library can be converted into the fourth bedroom by deploying a series of sliding/folding glass doors together with a pivoting wall panel to separate it from the rest of the living area. The kitchen is delineated as a special space within the open floor plan by virtue of a folded wooden volume around the island - inviting casual congregation and dining. All three bathrooms were designed with a common language of modern finishes and fixtures, with functional variations depending on their location within the apartment. New closets serve each bedroom as well as the foyer and lounge spaces. 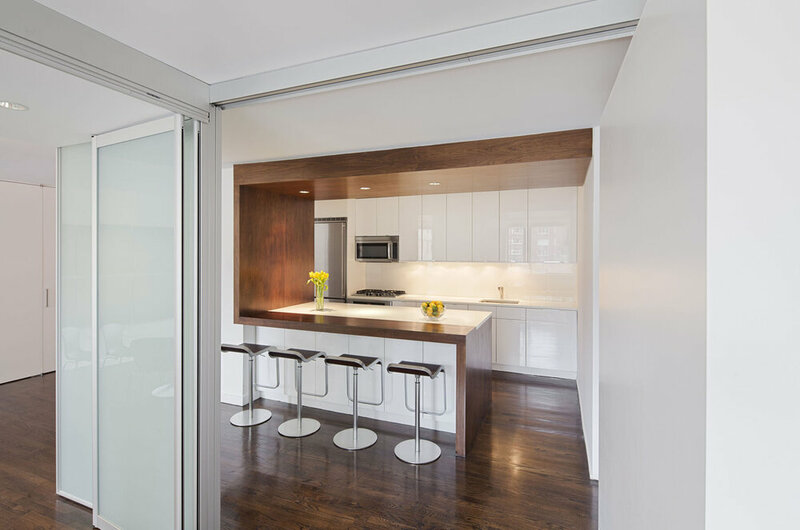 Materials are kept to a limited palette of dark stained wood flooring, American Walnut for bathroom vanities and the kitchen island, white gloss and lacquer finish cabinetry, and translucent glass door panelling with natural anodized aluminum trim. Lightly veined carrara marble lines the bathroom floors and walls.